Recognizing the importance of historic preservation in Newport was more than a ceremonial adoption of a resolution, though. Historic preservation officer Scott Clark, in presenting the resolution, explained that the city would host the River Cities Excellence in Preservation Awards at the end of the month. The historic housing and building stock that has been preserved in Northern Kentucky's urban cities are now viewed as a treasure trove of economic development opportunities, and efforts to save and renovate that stock continue to spread. 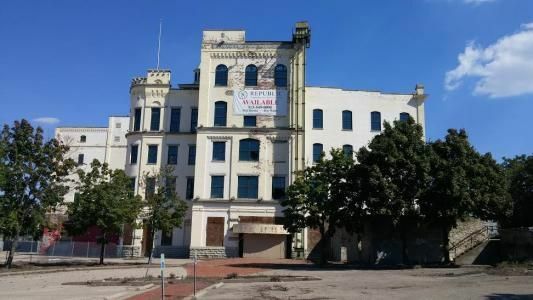 "I think our historic building stock creates unique building units which are in very high demand," said Jeanne Schroer, president & CEO of the Catalytic Fund, a relatively new entity that has made a significant impact in offering financing assistance to high profile urban redevelopment efforts in the River Cities. The next project slated to get underway is the Boone Block, a longtime mostly vacant sprawling structure at Fourth Street & Scott Boulevard in Covington that will be transformed from blight to nine posh 3-level townhomes. "The Boone Block project is a very good example of that. You couldn't create that type of unit in a new building, so I think a historic building stock is an attraction and it is an economic development driver because people today want to live in unique environments with interesting residential projects." An urban living tour in Downtown Covington put on by the Catalytic Fund dubbed "Beyond the Curb" sold more than 650 tickets and filled the streets with onlookers hoping to catch a peek at some of the historic building redevelopment going on in Covington. There are new apartments fully occupied on Pike Street and single family houses being re-imagined on the same stretch of road. "We heard so many positive comments and I think that the event was a great thing to do because people can drive around but what they really want to see is what's inside these buildings and when you go inside you can actually see how you can take an old structure and make it into a functional living or work place," Schroer said. Beyond the Curb had a goal of attracting suburban residents to the urban core to see what's possible here. Many who already call the city home already know this. "It helps us to stand out by providing this sense of individuality, history, and roots and craftsmanship, and gives a sense of place created by the character," said Jody Robinson, assistant city administrator and Main Street manager in Bellevue. "It's beautiful. As we build buildings today there really is a difference in that scale and type of materials we see." Robinson has been active in the Northern Kentucky historic preservation community and has helped turn NKY Restoration Weekend into a must-attend annual event for those looking for new and innovative ways to tackle a redevelopment effort. The number of those folks is growing, too, which is good news for Northern Kentucky's urban cities with their endless supply of possible projects. "We're starting to see that pendulum swing where people are really getting back to walkable communities that are scaled to people and not necessarily the automobile, though they allow for the automobile, and where there is a sense of community and access to everything," Robinson said. All of the Northern Kentucky River Cities are making strides in bringing new life to their once thriving downtowns and much of that effort centers around the historic building stock. In Covington, a towering structure from 1909 built as Coppins department store and used as City Hall for twenty years until 2013 is currently being renovated and will emerge as The Hotel Covington, an independent boutique hotel on Madison Avenue. Across the street, the Mutual Building, a nearly 100-year old 3-story structure at Covington's most prominent downtown intersection will have new apartments on the upper floors and new commercial spaces at street level. Gateway Community & Technical College is also expanding its presence with the development of its Urban Metro Campus in downtown Covington. It has already re-purposed one historic building and has two more under development with many more in the pipeline. Meanwhile, Newport continues to experience a burst of new construction along its riverfront and with infill apartment housing like Monmouth Row, but recently adopted a new historic marker program to celebrate its rich history, and Monmouth Street still maintains nearly all of its historic downtown character. In Ludlow, an old movie theater and an old church are now home to the popular Circus Mojo and new businesses are popping up along Elm Street as old buildings are given new life by young entrepreneurs. Bellevue's Fairfield Avenue has been the standard-bearer in recent years for what a retail district can look like in Northern Kentucky's urban core and the city leadership has adopted a form-based code to help nurture new developments to closely resemble the classic architecture in the city. Dayton also recently adopted an aggressive incentive program to attract residents and entrepreneurs to Sixth Avenue so that its main street can grow the excitement and enthusiasm that is currently seen on its riverfront where pricey homes are going up. What is happening in Northern Kentucky is also being experienced by other similarly-sized cities around the Commonwealth. Craig Potts, executive director of the Kentucky Heritage Council and state historic preservation officer, points to Paducah, Frankfort, Pikeville, and Bardstown as examples. "I think people appreciate walkability, they appreciate a real sense of place," Potts said. "We are moving away a little bit from sprawl development and moving back into our urban areas and rediscovering our downtowns and we're not just seeing that in Bellevue and Northern Kentucky, we're seeing it across the state and across the nation." At the state office, Potts is seeing a surge in applicants for tax credits, particularly from Louisville and Lexington as developers take on massive projects. An effort to grow the amount of historic preservation tax credits offered by the state failed this year in the Kentucky General Assembly, though Potts expects that legislation to return next year in the longer session. The Northern Kentucky Chamber of Commerce was a proponent of the expansion, a signal that business leaders across the region are growing more aware of the potential presented by the River Cities' historic buildings. "Northern Kentucky is doing so many things right," Potts said. "I always say, Northern Kentucky is so blessed to have so many historic resources left in tact. A lot of other parts of Kentucky don't have nearly the building stock that places like Covington and Newport, Bellevue, and Dayton, those communities have. So, there's a lot to work with and you have a strong sense of place there. You also have strong city governments that support revitalization rather than always going to what's clear cut and starting over. I think ultimately, cities that still have building stock are benefiting from that." All is not rosy for historic preservation enthusiasts in Northern Kentucky, though. One current battle is over the historic Bavarian Brewery Building in Covington where the namesake company produced its locally famous suds until the 1960's. 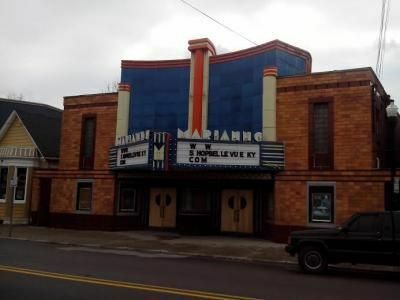 Owner Columbia Sussex has been denied by the city permission to raze the structure, but the issue heads to court this summer. Columbia Sussex believes that the land is more valuable to potential developers as a vacant lot, a view that is contrary to what the rest of the urban core is experiencing. 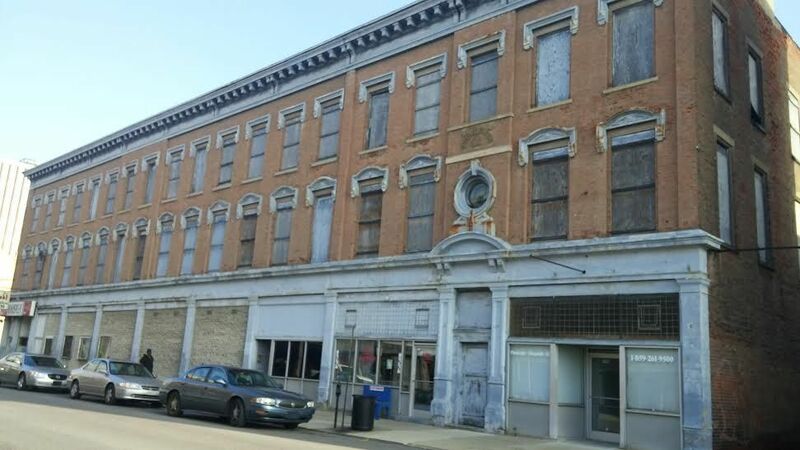 "A lot of people cannot visualize for themselves," Schroer said of vacant historic buildings in the region. "They have to actually see it and once they see it, they realize, yes, they could do that or get help to do that, that it is possible." "We are getting people contacting us all the time. They would like to invest in properties, they would like to develop properties, and the biggest issue is just having it be site-ready, development-ready." All of the cities have in place ordinances protecting historic structures and offering incentives to developers. "We do it for a number of reasons, but when we developed our ordinance it really was about economic development and every city makes that commitment," Robinson said. "It's about economic development and preserving our heritage so we can look to the past as we move forward in the future."